One language does not equal one culture. The Spanish language, for example, is spoken in about 31 countries around the world — each with a unique history and cultural narrative. The cuisine, music, and traditional clothing that shape the cultural core of someone from Mexico could be entirely unfamiliar to someone from Colombia or Guatemala. 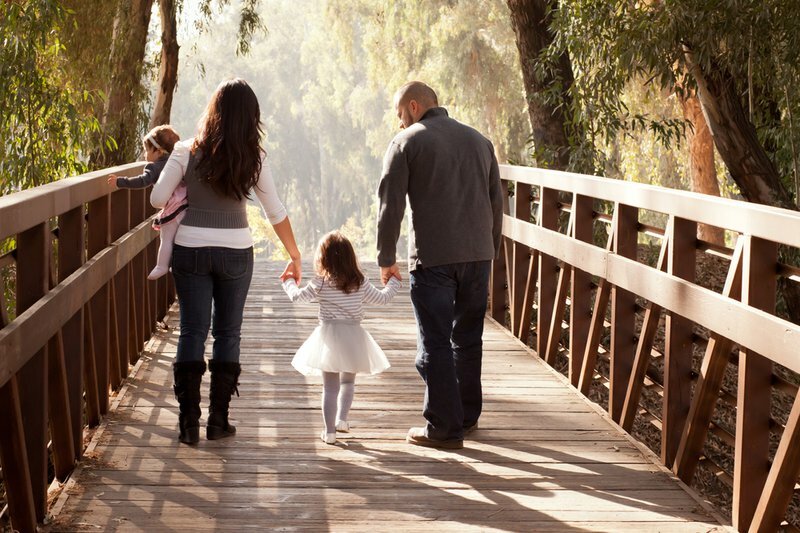 For many school districts in the US, cultural elements like these are major touchpoints in family engagement strategies, especially as school districts become increasingly diverse. In order for these strategies to be effective, it is important for district leaders and educators to consider both language and cultural diversity as they build bridges with families and communities. While intentional thinking about students’ multiculturalism is essential, it can be challenging to implement. Fortunately, resources are available. In response to a 2015 request for more family engagement resources by the Guam Alliance for Family and Community Engagement in Education, the Regional Educational Laboratory (REL) Pacific developed a toolkit for staff and educators. This toolkit was recently adapted for a wider audience through the Institute for Education Sciences. The toolkit has four parts. Each includes relevant research and activities: 1) building an understanding of family and community engagement, 2) building a cultural bridge, 3) building trusting relationships with families and the community through effective communication, and 4) engaging all in data conversations. The first two elements aim to cultivate a better, more culturally-aware foundation for the others. The goal of the first part is simple, but critical: help staff understand what family and community engagement looks like. According to the toolkit, it is “an ongoing process of meaningful interaction between schools and families that involves two-way communication and a purposeful focus on supporting student learning.” Sample activities presented in the section address many barriers staff might face in their interactions with families, including: parents’ linguistic profiles, families’ prior experiences with schools, educators’ lack of professional development, and staff’s own biases and attitudes. Most are thought exercises designed to help schools navigate and map how they think and feel about culture. 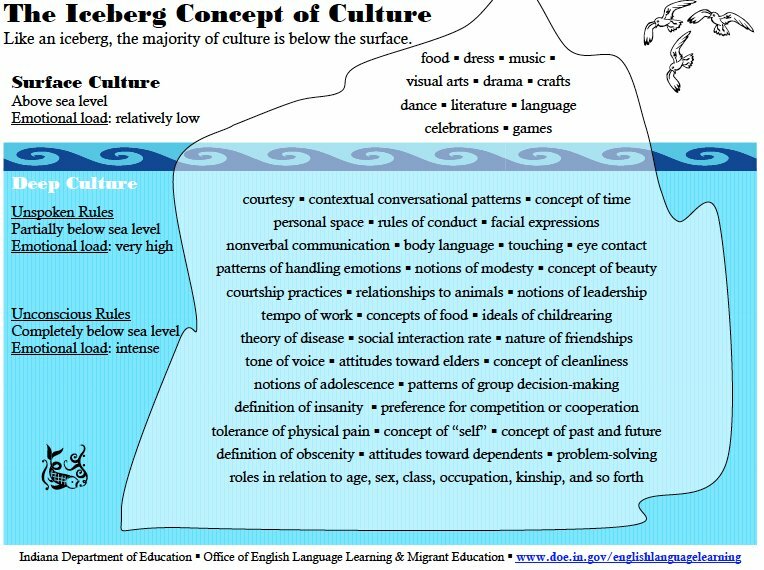 For example, one of the activities guides staff through the “iceberg concept of culture” to demonstrates how layered and nuanced cultural experiences can be. This aims to provoke reflection on students’ cultural experiences as well as educators’ own. This is especially important, as research continues to suggest that educator bias is real and consequential for students. Part Two of the toolkit provides tools for educators to use their developing cultural awareness in interactions with families. The main goals of these activities include: developing trust with families, identifying and respecting the strengths of students’ families and communities, and empowering families to take an active role in their child’s education. While multilingualism and multiculturalism are sometimes seen as obstacles, these activities guide educators through a process of flipping that lens by actively focusing on how language and culture could support students. To accomplish these goals, schools need to communicate effectively with diverse families. The toolkit goes beyond simple recommendations (e.g. “translate documents”) and urges educators to commit to substantive, two-way, cross-cultural communication with families. Part Three addresses such communication is bound up with culture, which can impact various components of verbal and nonverbal communication like tone, eye contact and appropriate physical proximity in conversation. Considering these details while interacting with families does not only enhance the clarity of educators’ messages, but also signals that they value families’ cultures. When families feel respected and valued, communication becomes a shared conversation where both parents and educators share vital information about students’ progress. The toolkit culminates in a guide for how educators can meaningfully share student data with all families. Given national debates surrounding student assessment and performance data, sharing this kind of information can be complicated for both educators and families. Again, simply translating a report (while helpful) is not enough. Cultural perceptions of testing, success, and improvement present in diverse communities may create further tension during these exchanges. Part Four of the toolkit provides a set of reflective activities and suggestions for best practices in sharing student data. Above all, it emphasizes establishing a initial foundation of trust with families, providing opportunities for in-person communication regarding data, and ensuring that schools share actionable next steps whenever sharing data with families. As demographics in American schools reach a majority-minority tipping point, educators and staff will need to engage effectively with these students and their families. Whether schools have served a diverse population for decades, or they are on the cusp of local demographic shifts, toolkits like this can help ensure all students and all families feel welcome.